Whatever about other people I have this problem for myself. 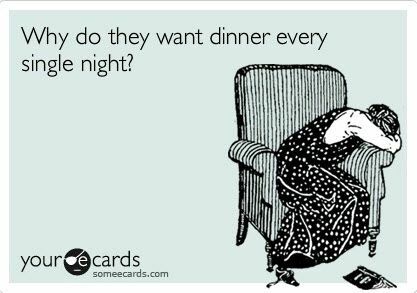 The perpetual problem of what to eat and do I have all the ingredients in the press! I often cook meals in advance that are handy to just get started and leave simmering away while I get other work tasks done. This is one such recipe that I prepared while doing my evening paperwork. This is a cheap, fast, and tasty curry that can be made from ingredients found in most well-stocked cupboards. 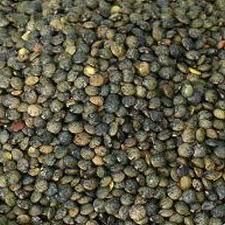 Puy lentils, also known as green speckled lentils are rich in nutrition and have a bitey texture; see here for further info; I love this website. 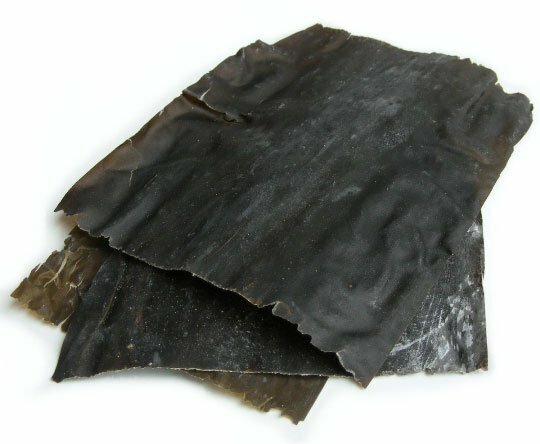 Seaweeds are a true Irish health food; I like Kombu because it is a meaty seaweed and adds well to curries, casseroles and rice or other cooked grains. Here is a nice article; be sure to read the first comment also. If you are watching your calories and carbs then serving this curry on cauliflower rice, steamed vegetables or even better steamed leafy greens is a sure-fire way to health. If you are an athlete or someone with higher energy demands then I suggest serving this on rice, millet or quinoa with a side of spinach, broccoli, or chard. You may wish to add a further portion of protein. If you feel adventurous this recipe can be built on and tweaked in many ways. Wash the lentils in cold water until the water runs clear. Put lentils in a pot with enough water to cover and allow to soak overnight or for 24 hours. Rinse the soaked lentils and replace the water with enough to barely cover the lentils. Spike the rinsed cherry tomatoes, rinse and roughly chop the kombu and add both to the lentils. Add 2 teaspoons or more Thai Green curry paste and ½ a stock cube to the lentils. Bring to a boil, place a cover on the pot, reduce heat to medium-low, and simmer. When you get to the point that you need to add more water during cooking to keep the lentils covered and prevent them burning then add your coconut milk topping up as necessary. After approximately 30 to 40 minutes the lentils should be cooked through. Serve on steamed vegetables, cauliflower rice; or steamed rice, millet or quinoa. Sprinkle with shredded coriander before serving and season to taste with salt. Here is a handy recipe for Cauliflower rice. This entry was posted in Recipes - Healing and nourishing foods and tagged lentil curry, puy lentil curry, thai curry by Andreacullen. Bookmark the permalink. I will give this a try – likely Friday. Love Thai anything! It’s a very basic recipe judy; basically I was cooking with what I have. To prove a point to clients and athletes that quick and simple works! Additional onions and spices or a denser coconut milk will make the sauce richer.